At some point in our lives all of us will probably experience planning or hosting a lifestyle event. Whether that’s a lavish outdoor celebration such as a wedding reception, birthday or anniversary get together, a business conference with a large number of delegates attending or quite simply a family meal with extra guests, we will all be faced with an urgent dilemma. Do we have enough table space? Do we have appropriate seating? Do we even have the time to shop around, compare sizing, pricing, availability and delivery options, let alone think about where to store these items after use? 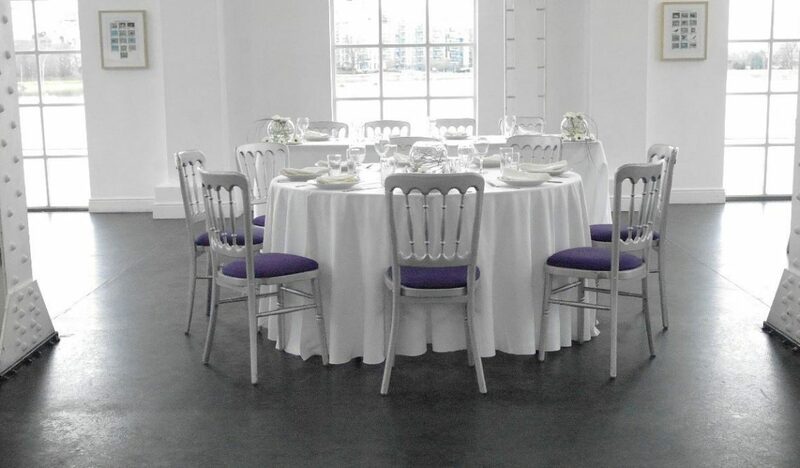 We believe hiring furniture really does resolve the logistical problems associated with planning events. This blog sets out a few important things to bear in mind – some which may not have been immediately apparent – when hosting or planning an event and reasons why hiring furniture may actually be your ideal option. Whilst purchasing items of furniture means that they are permanently yours to use time and time again for future events, you will need to think about where you would store them in the meantime. Not many of us have adequate storage facilities for the tables, chairs, and associated items of crockery, cutlery and linens needed for a celebratory function. Styles, colours and designs vary according to fashion trends and therefore when retrieving stored furniture from the garage or loft in future years, you may realise that furniture once considered suitable for a family meal, really will not suffice for a more extravagant celebration. Purchasing furniture is time consuming. Not only will you have to seek a manufacturer who can cater for your exact requirements in terms of quantity and sizing, but you will also need to bear in mind delivery costs and times. It is highly probable that for larger quantities there would be a time delay in despatching a full order. This could also result in extra time and stress involved in either telephone calls to chase or enquire about delivery or even extra problems if a manufacturer fails to respond or deliver as promised. The ability to hire furniture eliminates all of the problems highlighted above. Everything you need will be far easier to resource and order, more cost effective and can be supplied tailor made for your exact style, colour and size requirements. Co-ordinating items such as linens, napkins, chair covers as well as a wide range of crockery, cutlery and glassware are also readily available, saving the time, money and effort required to source multiple suppliers. Add in all the practical accessories which you may not have given due thought or consideration to such as coat stands or rails, ashtrays, table numbers, cabling for beautiful lighting, and the overwhelming benefits of hiring really do become apparent. We also believe that first class customer service is a further vital deciding factor. Our operators are available seven days a week to discuss your individual requirements and same or next day delivery can be arranged. However you choose to celebrate your special occasion or host your corporate event, we would be delighted to discuss this with you. Please do give us a call.